Just beyond the glitz of fibreglass lake boats is the community of river jet boating. It is a community with other nature-loving, adrenalin-seeking boaters taking on the unknown in each twist and turn of the river. The combination of shutting off your cellphone, feeling the power of a muffled block engine and taking in the spectacular natural views are just part of what is at the essence of being a river boat enthusiast. 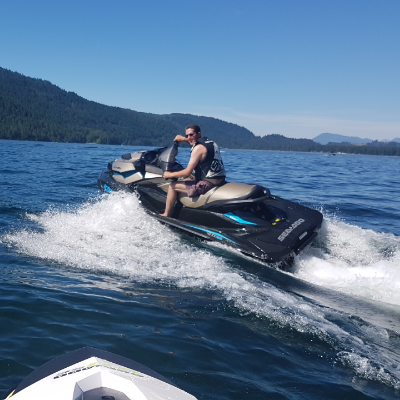 If you are daring enough to want to explore a river and share it with family or friends, you have found your place with other river jet boaters. The respect is there. Once you’ve seen friends laughing when stuck on a gravel bar in the middle of a river or dodging a rock that is barely visible, your river boating addiction has just begun and so has theirs. It is fast, friendly and freedom on water. 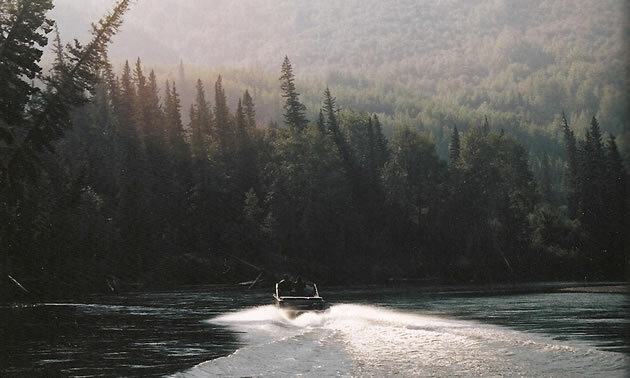 I grew up in the Northwest Territories where river jet boating is as natural as fishing—almost everyone does it. The block engines and aluminum hull will allow you to go where outboards cannot, and that type of freedom is alluring. After growing up in the Northwest Territories where rivers are long and lakes formidable, river jet boating is just part of life in the summer. Actually, it's one of the best parts of summer—it means full-on adventure. Originally, my parents bought their first river jet boat in the late ’70s, and it matched the YMCA music with the metallic speckled blue paint and peacock blue leather interior. Now as adults, my two brothers and I are avid river boaters because of the adventures that former boat brought us. “North of 60” river jet boating begins in Hay River, Northwest Territories. One of the most desired day trips is to the three-tiered Louise Falls. The launch area can be at the mouth of the Great Slave Lake, Mile 5 out of town, or at Paradise Gardens. 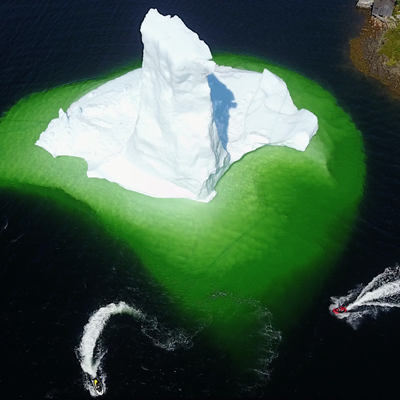 The Hay River is wide and fairly easy until you enter what locals call "The Escalators." In this area there are levels of rocks and sharp limestone chunks so it's best to go up in spring when water levels are high. Once through The Escalators, you will arrive at the falls and will certainly want a camera ready; it is spectacular. 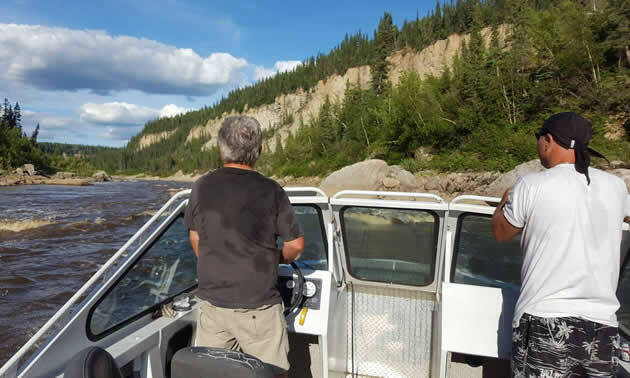 There are other springtime destinations as well, such as Little Doctor Lake where you will launch on the vast Mackenzie River and continue on the winding and scenic North Nahanni River, a trip of a lifetime. Not quite ready for the Nahanni? Kinuseo Falls near Tumbler Ridge, British Columbia, is your destination. 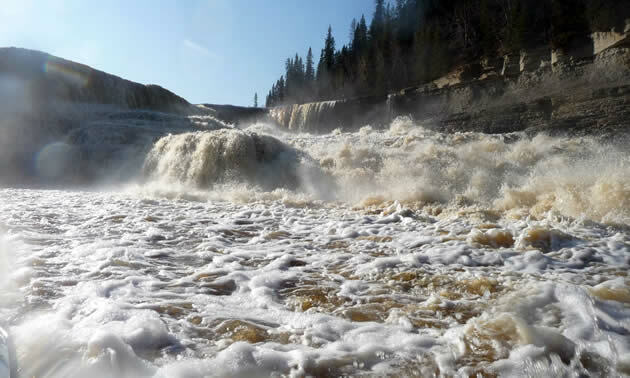 It is a full day on the water, so don’t be shy to ask one of Grande Prairie’s River Rat jet boat members where to launch and what to watch for as the river has a few tricky spots. But the views are spectacular and the sight of the massive horseshoe-shaped waterfall is worth it. With its running list of superlatives, river jet boating is an adrenalin rush on water, from shallow flowing rivers with gnarly rocks to the big wide rivers. What is ultimately quintessential about river jet boating is that the experience is best when shared, but then I might be a wee bit biased.